This free paper highlights what influences cost-of-ownership and provides tips for keeping it low. Envirosight Releases New White Paper on Managing Cost-of-Ownership for Sewer Inspection Crawlers. Acquiring a sewer inspection crawler is costly, but maintaining its performance doesn’t have to be. 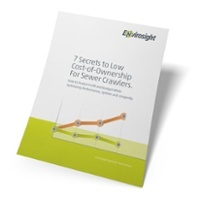 7 Secrets to Low Cost-of-Ownership for Sewer Crawlers is a new, free white paper published by Envirosight that details steps operators and supervisors can take to minimize cost-of-ownership. It examines the qualities of a crawler that can affect cost-of-ownership, as well as the impact of operating techniques, cleaning, care and preventative maintenance.